UMBC has named Phyllis Robinson, professor of biological sciences, the Robert and Jane Meyerhoff Chair of Biological Sciences. The three-year appointment honors Robinson for her exceptional contributions to her research field, commitment to addressing gender equity issues in STEM fields, and dedication to mentoring students and faculty at all levels. Robinson examines the visual system from “molecules to behavior,” and her lab incorporates techniques from biochemistry, molecular biology, and physiology. She has published dozens of peer-reviewed papers, presented her work all over the world, and garnered millions of dollars of research support from the NIH and other sources. Robinson is also a tireless advocate for women and other underrepresented people in STEM. In 2000, in response to an MIT report on resource discrepancies between men and women in STEM, she co-founded UMBC’s Women in Science and Engineering (WISE) group. What started as a monthly gathering for women faculty to connect has grown into a rich mentoring network. WISE now offers workshops to faculty members and graduate students on topics from leadership development to eating healthfully on a hectic schedule. The WISE group tapped into a need on campus and spurred further efforts to support women in STEM. Robinson served as co-PI on the UMBC NSF ADVANCE Grant, which is nationally recognized as a model for institutional transformation programs. Between its inception in 2003 and 2018, the number of tenured and tenure-track women faculty members in STEM disciplines at UMBC increased 60 percent, from 30 to 48, and the number of women who are full professors more than doubled. 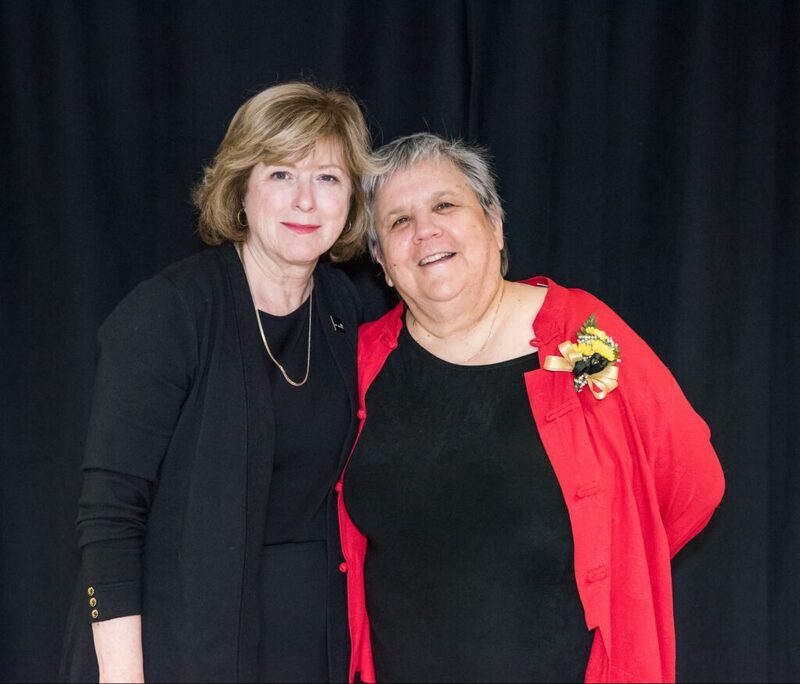 Patrice McDermott (left), Vice Provost for Faculty Affairs, served on the committee Robinson initiated in 1999 to investigate equity issues for women faculty at UMBC. Photo by Marlayna Demond ’11 for UMBC. 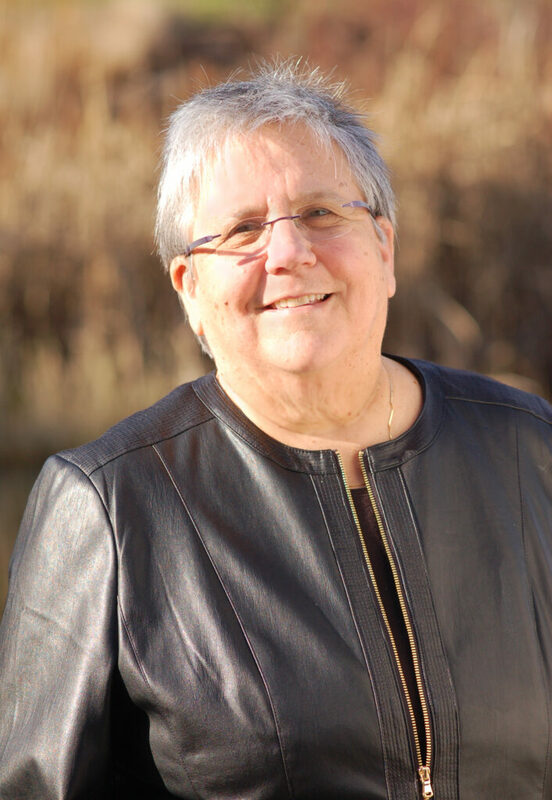 Robinson was honored by the UMBC President’s Commission on Women in 2012 and recently received the 2018 Marilyn E. Demorest Faculty Advancement Award for her advocacy work at UMBC. Robinson is a dedicated mentor to dozens of graduate and undergraduate students from all backgrounds. In 2017, she succeeded Lasse Lindahl, professor of biological sciences, as program director of MARC*USTAR at UMBC—an NIH-funded undergraduate scholars program that connects students from groups underrepresented in the biomedical sciences with valuable research opportunities. UMBC’s program has already supported over 100 UMBC alumni who have earned Ph.D. or M.D./Ph.D. degrees. Like her advocacy for diverse STEM faculty, Robinson’s work as a mentor for students goes back decades. She was previously honored for excellence in mentoring by the University System of Maryland Board of Regents in 2002 and by the Leadership Alliance in 2006. 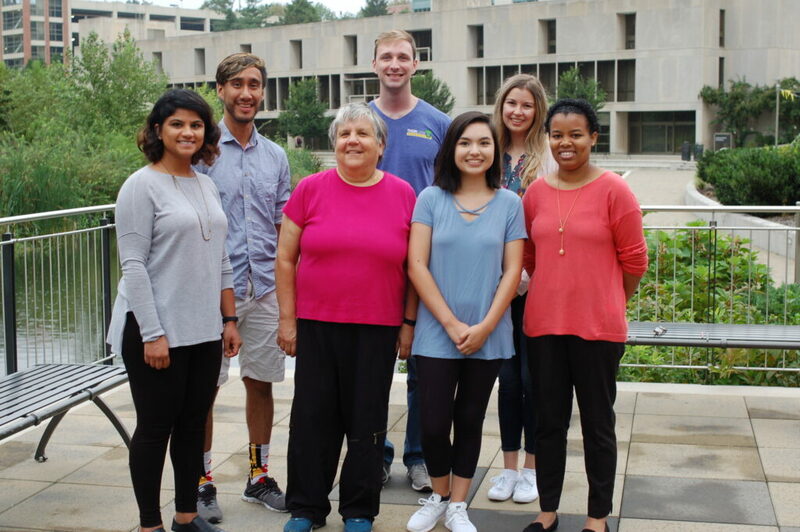 Phyllis Robinson and the members of her lab. Photo by Tim Ford. Robinson reflects that the UMBC environment helped make it all possible. “I’ve enjoyed working at UMBC,” she says, “because as a fairly young university, if you put energy into something you can really have an effect here.” Robinson certainly has. Banner image: Phyllis Robinson speaks at the 2018 Presidential Faculty Staff Awards, where she received the Marilyn E. Demorest Faculty Advancement Award. Photo by Marlayna Demond ’11 for UMBC.